Upgrade your Drive or Enigma wheelchair with this easy to install leg rest. 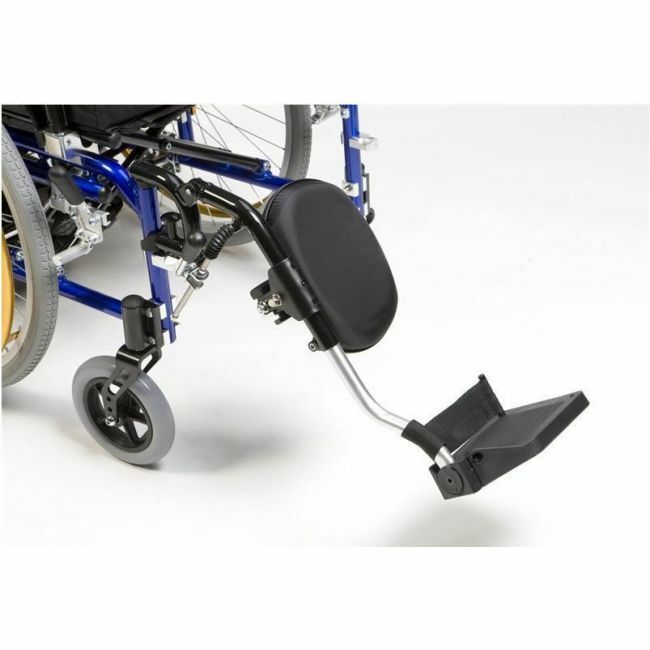 The wheelchair elevated leg rest is suitable for Drive and Enigma wheelchairs to provide a more comfortable place to rest the foot and leg. This wheelchair accessory will not fit all models of wheelchairs. Please see the list below for compatible wheelchairs and select left or right from the drop down menu. ELR001 – Standard steel wheelchairs (Not Sentra, Silver Sports BTR22 or TR39 models). ELR002 – Enigma XS, XS2, Super Deluxe wheelchair, K Chair. ELR004 – For LAWC001, LAWC002, LAWC007, LAWC008, LAWC011, LAWC012.